The MTS video format is usually used by HD cameras developed by Sony, Canon or Panasonic. The drawback of this format is that it can't be played on devices as popular as the iPod touch or the iPhone, therefore, it is necessary to convert the format and 4Videosoft MTS Converter can do so. Edit and convert HD camera recordings. 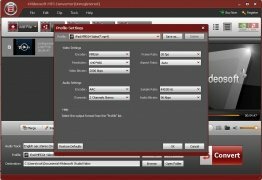 4Videosoft MTS Converter is capable of converting MTS to AVI, MP4 or VOB, among other formats, being also able to extract the audio from those videos and convert it the most widespread formats. 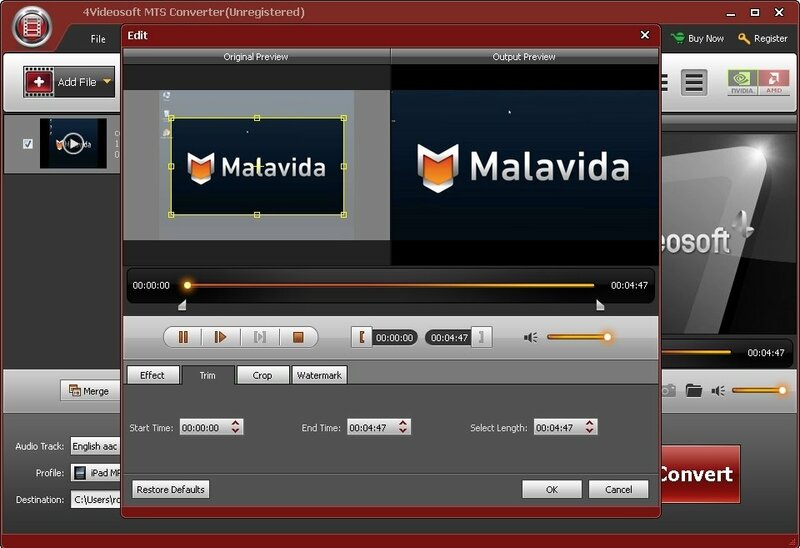 In any case, this program's functions also include editing tools that allow you to cut, crop, merge and add watermarks to the converted videos. All the latter from an intuitive interface, on which the main functions are controlled by means of a tab-based system. Convert MTS to the main video formats, supported by the majority of devices, such as AVI, MP4, WMV, 3GP or MOD. Extract audio from the video clips and convert it to the main formats, like MP3, FLAC, MP2, OGG, WAV and WMA. Video editing functions that allow you to crop, cut, merge, add watermarks and enhance colour and luminosity. With 4Videosoft MTS Converter you won't have any problems to import your videos recorded on a camcorder and work on them in compliance with your needs. 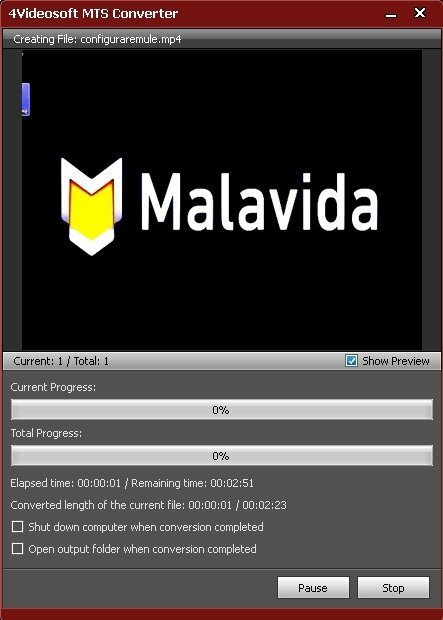 The trial version only allows you to convert half the running time in the case of videos shorter than five minutes, or a maximum of five minutes if the video is longer.